Based on everything I see on social media, I believe the vast majority of Weber owners grill 365 days a year. This fact is not an outlier; it is simply our way of life. While some grillers actually have awesome weather for 12 months out of the year - yes, I’m talking to those of you who post kettle pictures of perfectly grilled steaks on eighty degree sunny December days - jealous! A lot of us grill through harsh snowy winters. 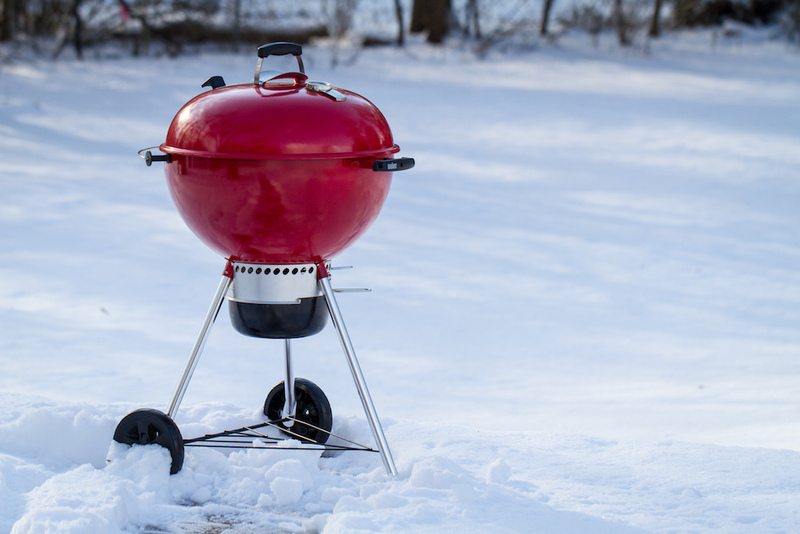 We do not appreciate the cold, but we do relish the grilling. It is safe to say cold weather does not slow us down, but it does, at least in my case, change my tactics. When the weather is really bad, I’m still grilling, but I try to minimize how many trips I take out the backdoor and how much snow and water I traipse back in the house. I’m looking for meals and methods which are forgiving and most importantly, allow me only three trips outside. One to start the grill, one to place my food, and one to take it off. Using a cedar plank to grill chicken is like having an extra layer of safety under the hood. Cooking with planks is incredibly forgiving, as it acts as a barrier between direct heat and the meat. Not only does the cedar give a little bit of protection over the hour long cook, it generates some incredibly tasty smoky flavors. In order to minimize trips outside, use an iGrill- a digital app-connected thermometer. Connect up to four temperature probes to monitor food from beginning to end. The app notifies users once grilled foods, like steak, chicken or roast has reached the perfect degree to serve. Why walk outside to check on the temperature of your food when you can check from the warm confines of your kitchen window? *Use grill in conjunction with the instructions of your owner’s guide. 1. Soak two cedar planks in water for at least an hour. 2. Take the whole chicken, cut off the wing tips, remove the backbone, and cut the breastbone in half to separate. Brush lightly with olive oil and season all over with salt and pepper. 3. Grill over indirect medium heat (350 F) for approximately an hour and fifteen minutes or until the internal temperature of the thigh reaches 165 F.